Did you know peanuts actually aren’t nuts? Technically, they’re legumes, but they’re often lumped together with true nuts in dietary surveys and studies. Harvard University researchers specifically asked subjects in the Nurses’ Health Study about their peanut butter intake and found that women at high risk for heart disease who ate nuts or a tablespoon of peanut butter five or more days a week appeared to nearly halve their risk of suffering a heart attack compared to women who ate a serving or less per week. This cross-protection between true nuts and peanuts also appears to extend to fibrocystic breast disease. 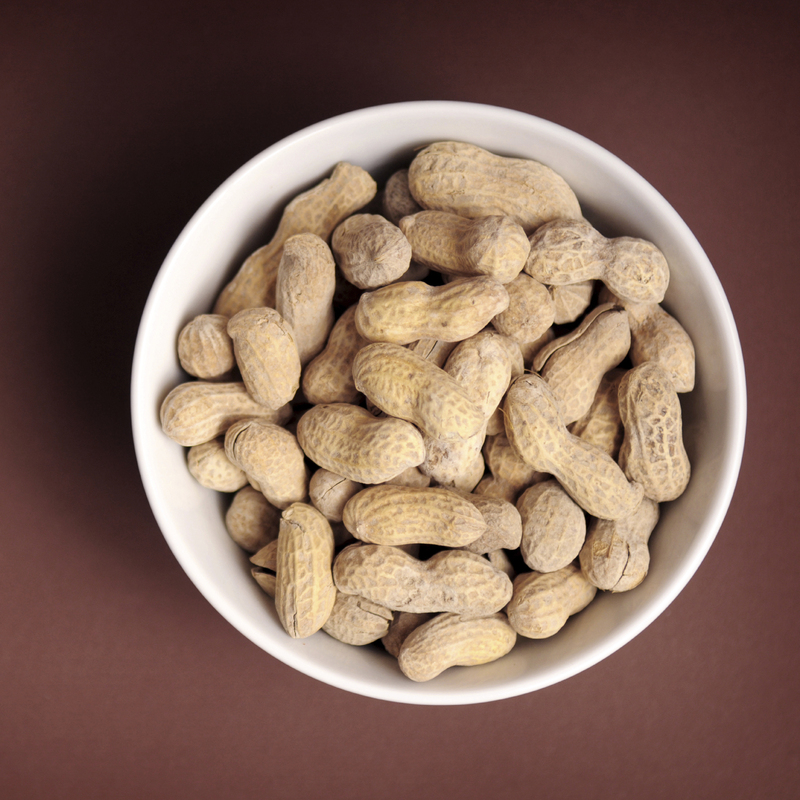 Adolescent girls in high school who consumed just one or more servings of peanuts a week appeared to have significantly lower risk of developing lumpy breasts, which can be a marker for increased breast cancer risk. In my Daily Dozen, I recommend a daily serving of either ¼ cup nuts, including peanuts, or seeds, or 2 tablespoons of nut or seed butter. The Global Burden of Disease Study, the largest analysis of risk factors for death and disease in history, calculated that not eating enough nuts and seeds was the third-leading dietary risk factor for death and disability in the world. Indeed, major studies have shown that people who eat nuts appear to suffer fewer deaths from cancer, heart disease, and respiratory disease. Our lifespan may be increased by an extra two years by eating nuts regularly—one handful (or about a quarter of a cup) five or more days a week. PREDIMED, one of the largest ever interventional dietary trials, followed more than seven thousand men and women at high cardiovascular risk randomized into different diet groups. One group received a free half pound of nuts every week for four consecutive years. Compared with other groups, the added-nuts group appeared to cut their stroke risk in half. How can soy foods have it both ways with pro-estrogenic effects in some organs that can protect bones and reduce hot flash symptoms, yet also anti-estrogenic effects in others that protect against breast and endometrial cancer?